Dashboards - Monitoring, Analyzing, Presenting, Sharing! The ElegantJ BI self-serve, mobile business intelligence suite is suitable for every size enterprise, business function and business user. Our BI suite provides various tools and sophisticated features and functionality in an easy-to-use environment that will help your organization transform business users into Citizen Data Scientists. 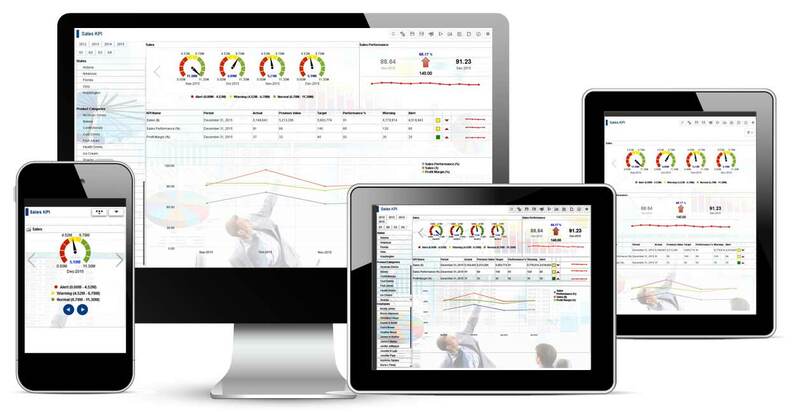 ElegantJ BI dashboards are 100% browser based, with a unique ‘Design once, Use anywhere’ UI engine that ensures a seamless user experience across desktops, tablets and mobile devices. 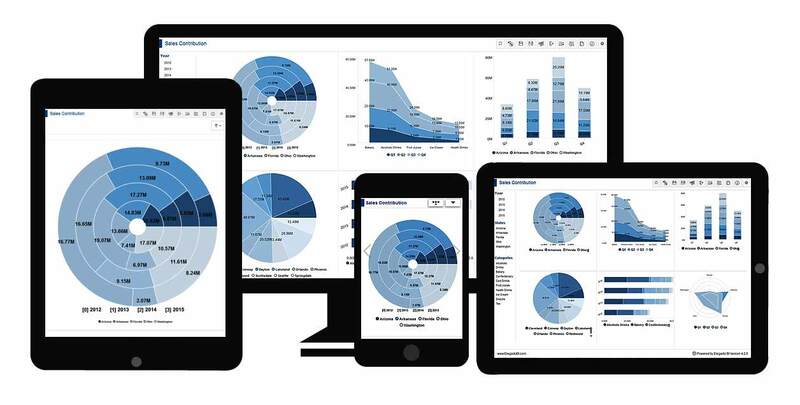 Business users can design personalized dashboards in minutes, without knowledge of any programming or SQL queries. 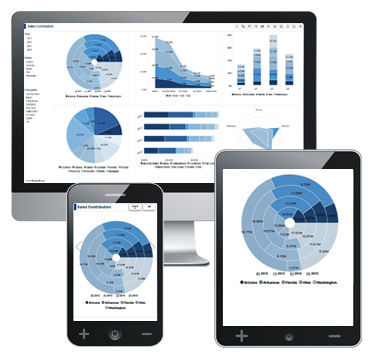 Users enjoy stunning visualizations, alerts for exceptions and trends, and deep dive analysis using highly interactive ElegantJ BI dashboards. Avoid ‘Static Packaged Dashboards’ and user frustration with real self-serve dashboards and deep dive capabilities! KPI Analytics. The New Way Forward! Users can define KPI with an easy to use, powerful expression engine and set polarity, frequency, and threshold levels using a browser based interface. Users can establish and monitor KPIs at the individual, team, department, division and company level. Defined KPIs are not limited itself to static monitoring. 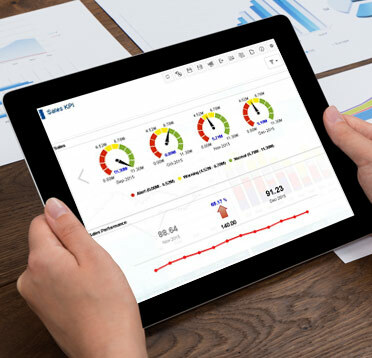 KPI Analytics provide interactive options to change frequencies, dimension break downs and drill down to further analyze trends, and reasons for performance and non performance. 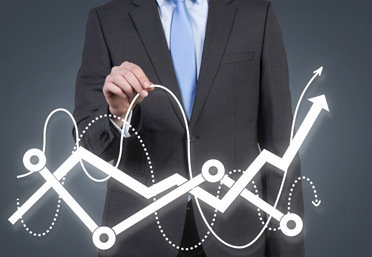 Transform Business Users into Citizen Data Scientists! Advanced Data Discovery lets business users perform early prototyping and test hypotheses and ensures data democratization with Self Serve Data Preparation, smart visualization and plug n’ play predictive analytics that transform business users into Citizen Data Scientists. Self-Serve Data Preparation allows business users to connect, join and manipulate data with smart suggestions on relationships, and hierarchies, and offers tools to improve the quality of data. Smart Data Visualization suggests the best visualization to display underlying data for the most meaningful visualization. Plug n’ Play Predictive Analysis allows users to perform classification, clustering, associative, time series and other predicative and forecasting analysis without data scientist or statistician skills. 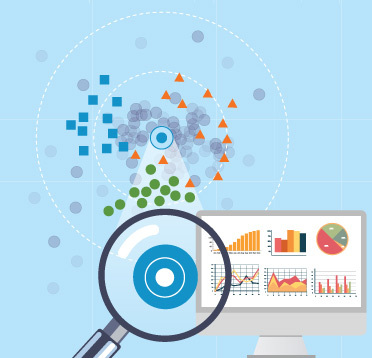 Advanced Data Discovery uncovers the ‘nuggets’ buried in traditional data, connects the dots, finds exceptions, identifies trends, and predicts results. Visual Analytics, Monitors. Deep Dive, Discovers! 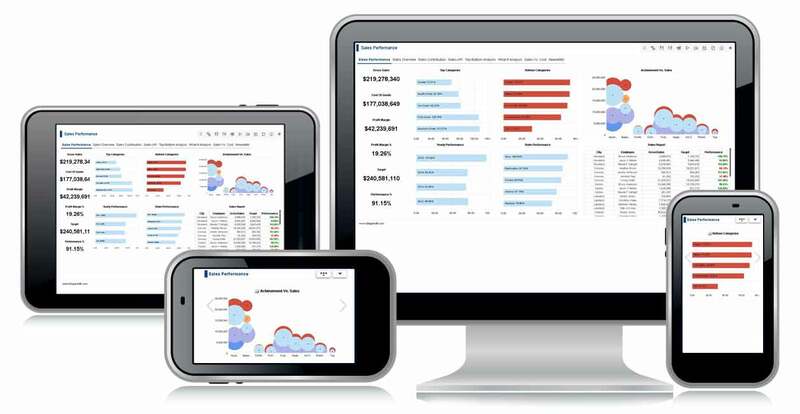 Cross-tab analytics offers a 360 degree view of your multi-dimensional data with ad-hoc queries and BI reporting so you can take full advantage of Business Intelligence with a clear view of corporate performance and ability to slice and dice data, drill down, drill up and drill through to find the most relevant Information. It also provides easy-to-use complex data operations, summary operations, time series functions, filters and custom column expressions engine to help users make prompt, effective business decisions. 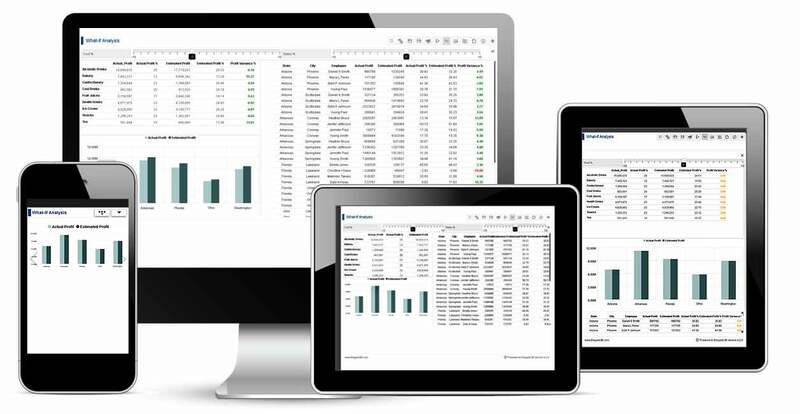 ElegantJ BI Cross tab analysis provides pivot table and OLAP analysis to any user, via a browser-based environment – accessible from anywhere, at anytime! Social networks and social media are ubiquitous! Every aspect of modern life involves sharing and social interaction. Imagine an environment where business users can access a business intelligence and analysis portal and see popular data to rate, share and comment. Social BI supports the emergence of power users who take a creative, insightful approach to data analysis. 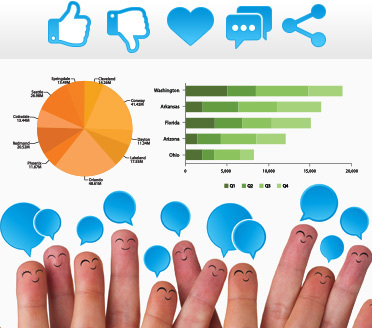 Just as social media users can 'Like' or 'Share' a provocative post from another user, a social business intelligence tool can support the same kind of sharing and learning within your organization. As power users, and data analysis, become 'popular', the enterprise will begin to understand the types of data and analytics its users value, and how to provide, and present, data to improve data leverage, and increase confidence in decisions. To be successful in business, every organization must find a way to accurately forecast and predict the future of its market, and its internal operations, and better understand the buying behavior of its customers and prospects. ElegantJ BI plug n’ play predictive and forecasting tools help businesses to create Citizen Data Scientists by enabling the average business user to leverage sophisticated predictive algorithms without the expertise and skill of a trained data scientist, so users who are not statisticians or predictive algorithm experts, can leverage self-service plug n’ play predictive tools to confidently make business decisions. What If Analysis allows users to see the impact of a prospective change to a product, service, resource allocation, budget, project schedule, pricing, raw material cost, labor cost, or other factors and compare that change to other options to ensure they have considered the impact resulting from each option. Users can select the appropriate option and compare results to plan for long-term and short-term strategies for necessary resources, training, funding and competitive response and achieve meaningful and confident planning across the organization. More Than What You Can Graph! 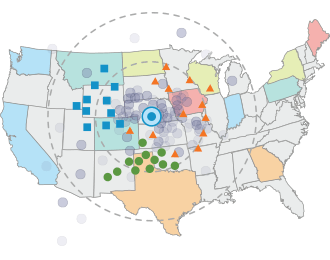 ElegantJ BI supports and analyzes Geo Data and displays within an interactive GeoMap, allowing users to leverage geo maps and analyze data for any location, and to define geographic areas with support for drill down, spot lighter and other features. These features integrate seamlessly with Dashboards and ensure User Interface (UI) compatibility on all devices including tablets, smart phones and other mobile devices. Exception reporting allows users to define threshold points and monitor Key Performance Indicators and metrics, and receive alerts to notify them when exception conditions occur. 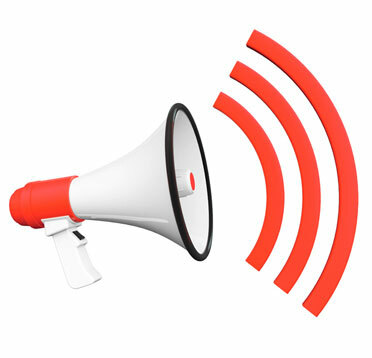 Users have the ability to set, modify and delete alerts based on specific thresholds. Personalized Alerts notify users when something critical occurs, thereby enabling management by exception and relieving users of the need to continuously monitor results or produce reports in hopes of finding a problem before it negatively impacts the business. It’s Not Rocket Science, Anymore! ElegantJ BI offers flexible options for data access and management so you can choose the option that is best for your use case scenario. 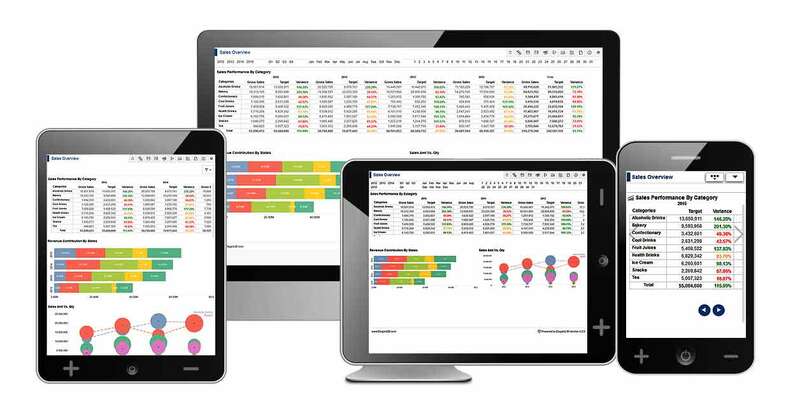 You can connect to data sources like databases, OLAP cubes and spread sheets using simple wizard based connection interface in ElegantJ BI. Real-time cube management delivers analytics when real-time data is critical, so organizations can compete in a rapidly changing market. 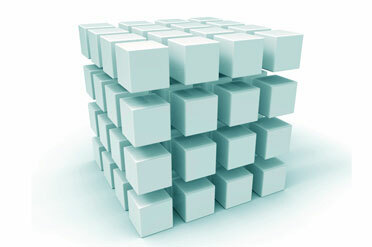 Real-time cube management connects to data sources in real time, and compiles data for fast performance to deliver real time analytics to users. Cached cube management provides high performance analytics on pre-aggregated data and provides other computations for superior performance and analytics, refreshing data from data sources at a defined frequency. Power of 'R'! No Programming Required! The ElegantJ BI Business Intelligence solution integrates seamlessly with R, the popular open source programming language and software environment for statistical computing. 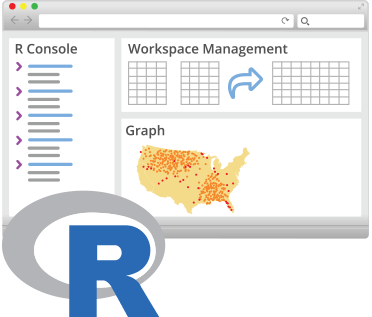 This integration allows users to integrate any R script with input and output configuration both to and from R script and the ElegantJ BI suite. 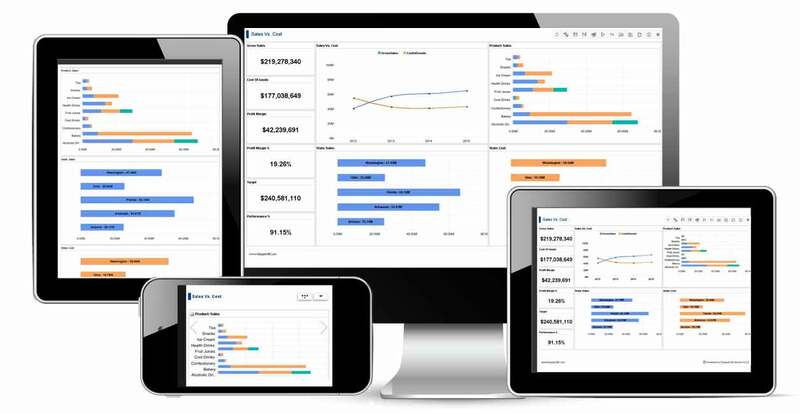 Users have access to a full suite of self-serve visualization and analytical tools to present and share results from R script in a report, on a dashboard, with interactive graphs, and in ad hoc reporting, cross-tab reports and key performance indicators (KPIs). Data scientists and business analysts do not need extensive training or knowledge to use the ElegantJ BI business intelligence suite and to leverage the R script integration. Simple to Create. Ready to Publish! 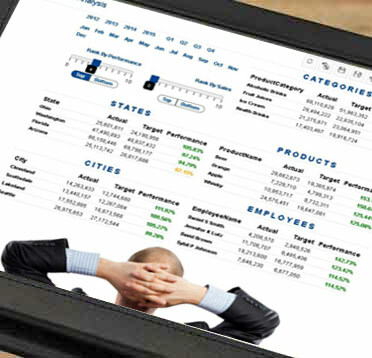 ElegantJ BI Reports delivers your web-based BI reports to anyone (or everyone) in your organization within minutes! ElegantJ BI is simple to use, practical to implement and affordable for every organization. 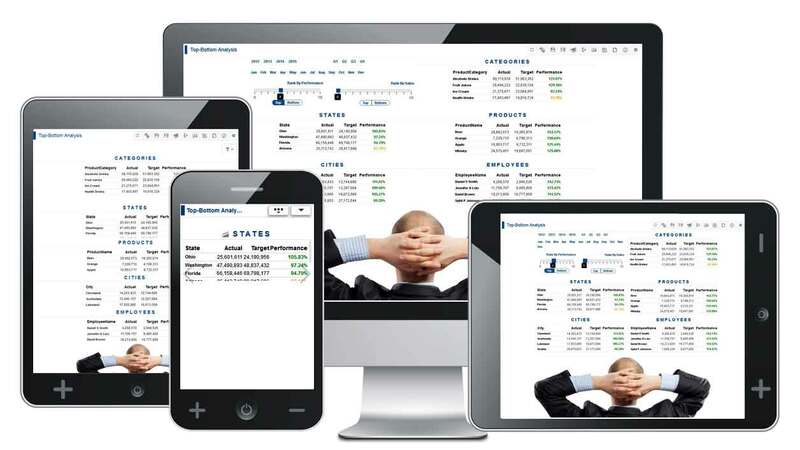 With BI reporting, Users point-and-click and drag-and-drop and you can instantly create a report to summarize your performance metrics, or operational data, all in a self-serve environment without programming or database or SQL skills. 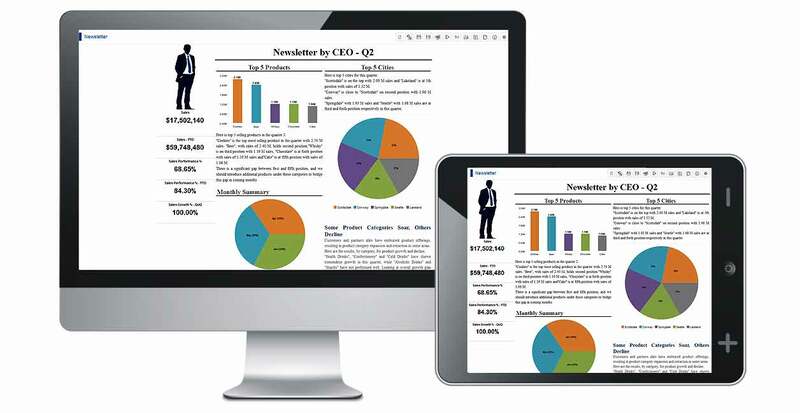 Produce meaningful, personalized reports with ease and simplicity. Users can automate publication and delivery of these reports via email, thereby improving productivity and ensuring that information reaches the right people at the right time. Any Information, Any Format, Anywhere! The ElegantJ BI publishing and delivery agent is designed to meet every need and to ensure that every business user has the Information they need. 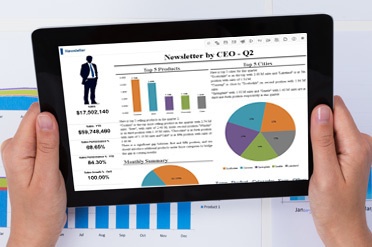 BI objects such as dashboards, reports, cross-tab or graphs are automatically delivered via email or file publishing so users stay abreast of issues, opportunities, financials, sales and other metrics. Publishing and Delivery Agent provides a flexible and intelligent information delivery mechanism, with complete, fine grained security and access provisions, to ensure that the user receives up-to-date, clear information when they need, and in the format they specify, via the channel they prefer.